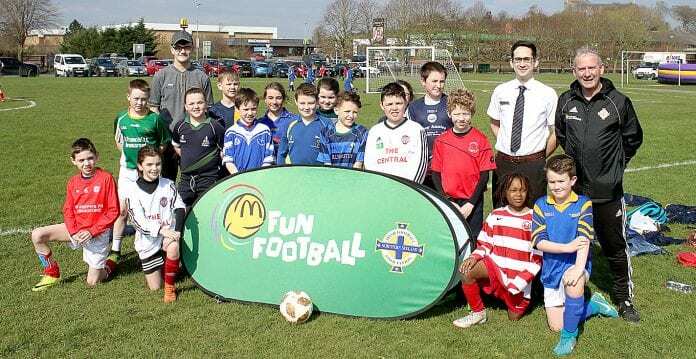 Home Sport 200 young footballers descend on Dunleath Park for a morning of games. 200 young footballers descend on Dunleath Park for a morning of games. Representation from all the schools with the IFA’s Seamus Heath and McDonald’s restaurant management.